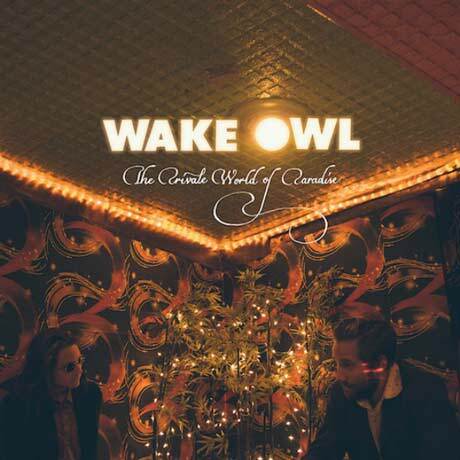 Vancouver singer/songwriter Colyn Cameron, better known under his perofming name Wake Owl, made an auspicious debut with his 2011 Wild Country EP, showcasing the kind of dreamy indie folk that drew listeners to bands like Grizzly Bear and Local Natives in years past. With his first proper full-length, The Private World of Paradise, that — at first glance — hasn’t changed much, with first track “Days in the Sea” blending acoustic strums and a pleasant sheen of reverb. But it doesn’t take long for the focus to shift a bit, as second track “Candy” steps a few decades backward into the 1970s, taking a heavy influence from string-laden Chicago soul and quiet storm sounds. Throughout the album, there’s a push and pull between contemporary sounds and vintage influences, like on bittersweet ballad “Kid,” or in the Roy Orbison-gone-Flamenco echoes of “Oh Baby.” Everything here is painted in varying shades of gloom and lit by flickering candle flame, but every now and then, illuminates something quite gorgeous.